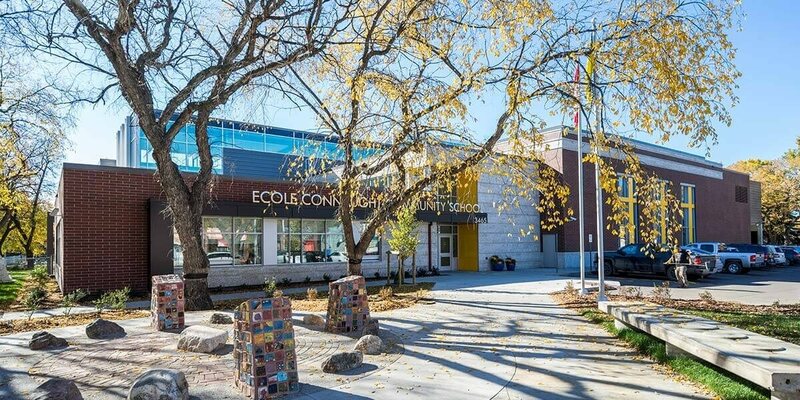 The new École Connaught Community School is a cutting-edge 21st century learning environment that pays homage to the cherished 1912-era school it replaces on the same site. 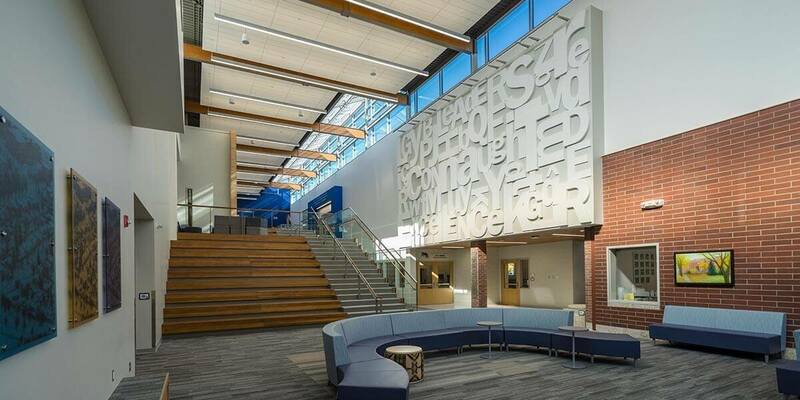 Designed together with Regina-based Cite360studio following an integrated design process with a large community stakeholder group, the design combines modern interpretations of valued elements of the original school with a sustainable 21st century school design targeting LEED® Gold from the Canadian Green Building Council. École Connaught’s gymnasium and main entry features a classical brick and Tyndall stone façade, built with reclaimed materials from the original school. 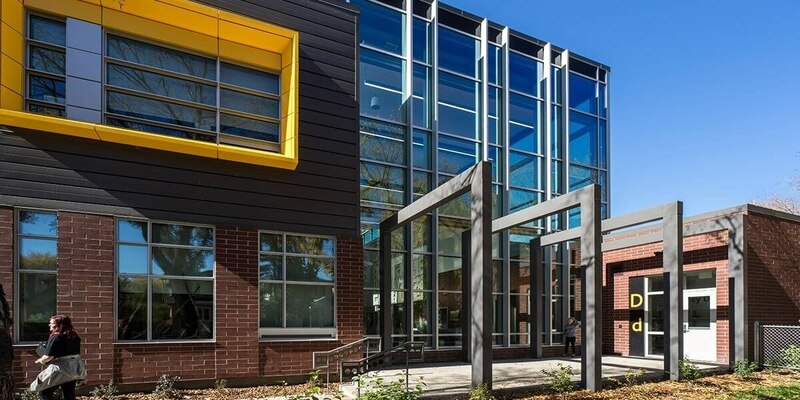 The south side of the building contains a more playful arrangement of windows, metal cladding and large second-floor overhangs facing the playfields. 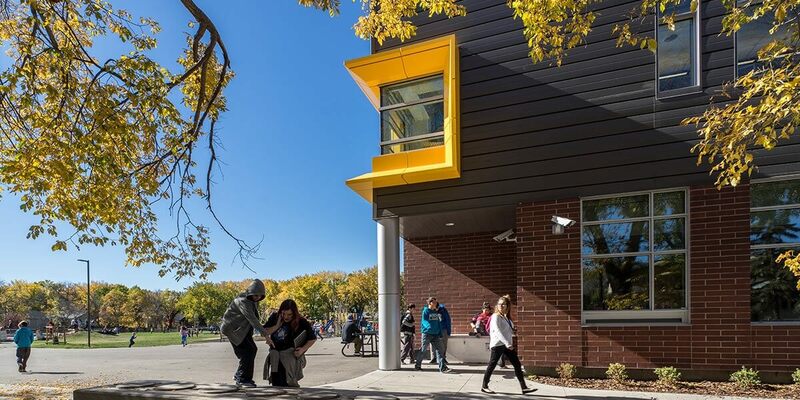 The steel overhangs provide a signature architectural statement while offering shelter to each learning community’s independent dedicated entrance. The school also contains an integrated early learning centre adjacent to the playfields on the south side. 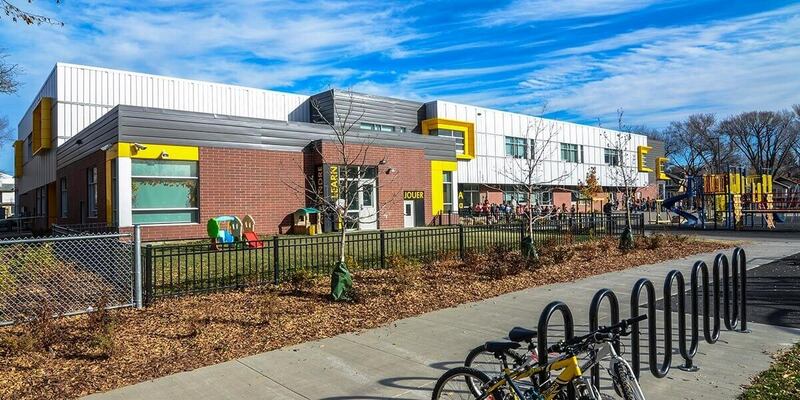 École Connaught is organized around three “learning communities” (grades K-2, 3-5 & 6-8) that share a central learning and gathering space called Hub Hall. 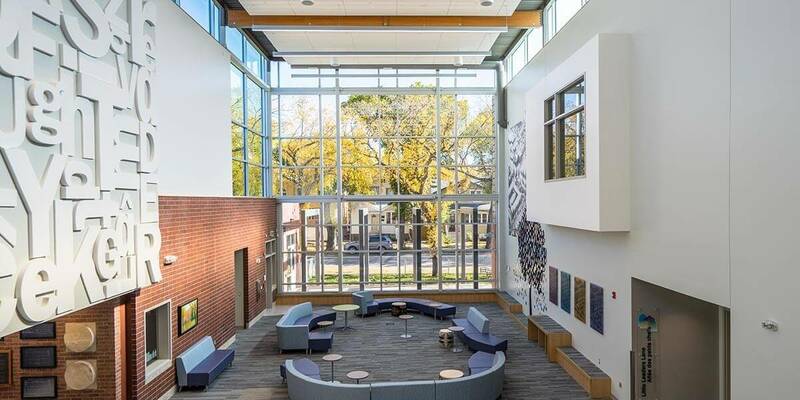 This common area connects the daily activities of students, teachers and the community. 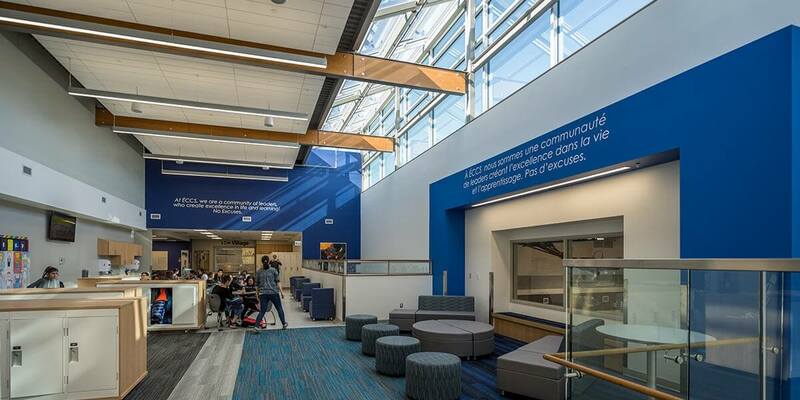 An after-hours entry to the hall is also provided, providing a secure access point to the multipurpose room, gym and kitchen for community events. 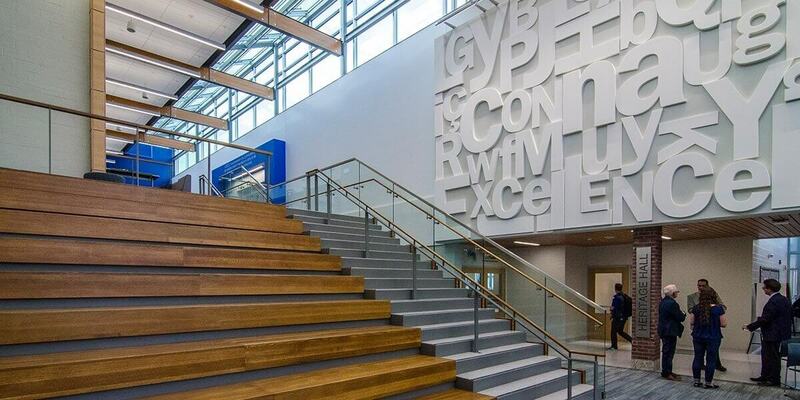 Hub Hall houses a large internal feature staircase with integrated amphitheatre seating for individual class instruction or all-school assemblies. The eastern end of the hall contains a carpeted learning space with a high glass wall near the location of the main entrance to the original school. The surrounding walls feature murals from local artist Wilf Perrault, honouring the history of the original building that once stood proudly on the site.